See how QuickBooks Enterprise, the most powerful version of QuickBooks, can help you get more done faster. Designed for businesses managing more complexity. 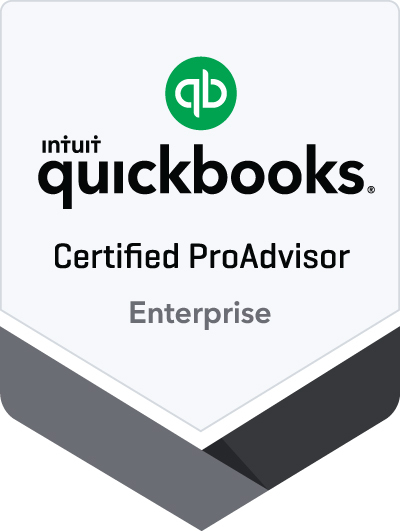 QuickBooks Enterprise Solutions leverages all of the features that makes QuickBooks the #1 rated small business accounting software, but it is designed specifically for businesses managing more complexity. It is the most powerful version of QuickBooks and includes additional features and extra flexibility that small businesses need in accounting software. Over 6x the capacity of other QuickBooks products. The ability to add up to one million names gives you the power to track hundreds of thousands of customers, vendors, and items. Flexible, grows with your business. Set up 1 to 30 users in no time. QuickBooks Enterprise delivers the functionality you need to manage your accounting, payroll, payments, inventory and more. Whether you're new to business management software or already a QuickBooks customer, you'll find it easy to manage your accounting and business needs. Save time and money with QuickBooks Enhanced Payroll included in the QuickBooks Enterprise Gold subscription. Create unlimited paychecks, use free direct deposit, and manage payroll for any number of employees. All with no monthly employee fees. 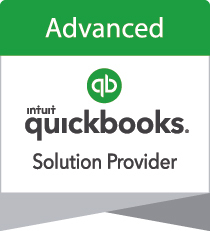 QuickBooks Payments  add-on makes getting paid quicker and easier. QuickBooks Enterprise updates automatically and sends payments directly to your bank. E-invoicing also lets you conveniently email invoices to your customers with a Pay Now link. With our add-on Hosting Service, take your QuickBooks to the cloud and enjoy the freedom of getting your work done wherever you might be. Collaborate with your team across the desk...or across the continent. Run critical reports with ease. Advanced Reporting puts the information you need at your fingertips. With improved search functions, auto-filled templates to save you time, and a robust help portal, using QuickBooks' most powerful tool has never been easier. With QuickBooks Enterprise, you have the option to get two powerful, easy-to-use tools built right in: Advanced Inventory and Advanced Pricing with the Platinum subscription. They're designed specifically for manufacturing, contractor, wholesale, retail and other businesses managing large scale inventory. Whatever your business, QuickBooks Enterprise has specific solutions tailor-made for your demanding industry. Choose your industry at install to gain access to your industry specific features. Definitive permissions for payroll and all data sets help you ensure only QuickBooks users with explicit authorization are able to view transactions and payroll reports. Easily and accurately manage your sales order fulfillment process from a central dashboard and mobile devices. Real-time visibility of invoice statuses at a glance to expedite collections and improve cash flow. Simplified 1-click transfer of credits across customer jobs for streamlined workflow. Transfer customer credits across jobs, quickly and easily without needing special accounting knowledge. Switch easily from writing a check to a vendor to paying an outstanding bill, so that the accounting is done right and links to bills are maintained. Manage payments and keep track of what and when you owe vendors confidently. Simple solution allows you to reduce the size of your company file and helps improve file reliability. With a check box, include or exclude Inactive inventory items in valuation reports to give an up-to-date assessment of inventory. Improved IIF importing checks the data before importing and generates a report of issues if the import fails, allowing you to easily identify, fix, and reimport records with reliability and confidence. QuickBooks Payments is an optional, fee-based service. additional terms and conditions apply. Sign up with your email address to tips and product updates.